Ao Nang is a seaside town in Krabi Province and one of the most popular beach destinations in Thailand. Popular with both backpackers and families on package holidays, Ao Nang is a touristy town catering to the mainly Western vacationers. However, Ao Nang serves as a good base for exploring the more scenic islands off the coast and the Rai Leh Peninsula. More at Guide to Ao Nang. Ao Nang is not a large town and you can find most of the tourist conveniences including shops, restaurants, transport, banks and travel agencies concentrated along the beach and Airport Road. 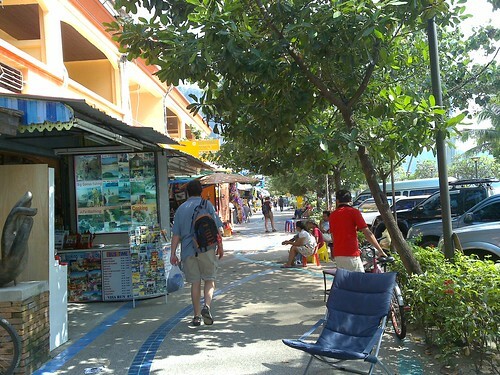 There seems to be more tourists in Ao Nang than locals, many from Continental Europe namely from Scandinavia. Even with the hordes of tourist, the atmosphere here is not as frenzied as Pattaya. 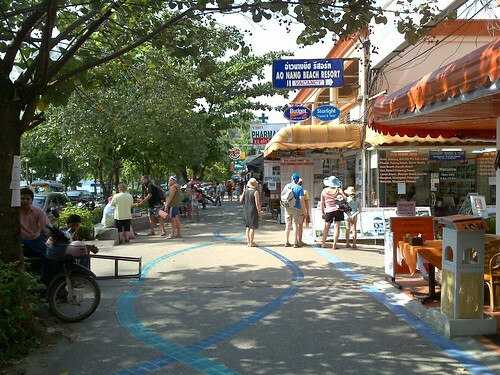 Ao Nang Beach is the main beach and located within Ao Nang's town centre. Not the best or most scenic beach but long-tail boats here can get you to the nearby islands and Rai Leh Peninsula. 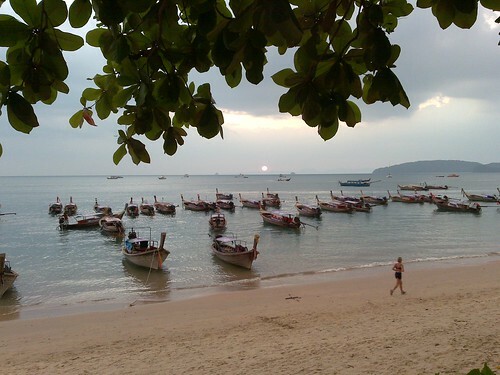 Phra Nang Beach is located on the Rai Leh Peninsula, a few minutes ride on long-tail boats from Ao Nang. Its a beautiful beach with emerald clear waters and scenic backdrop of limestone cliffs.